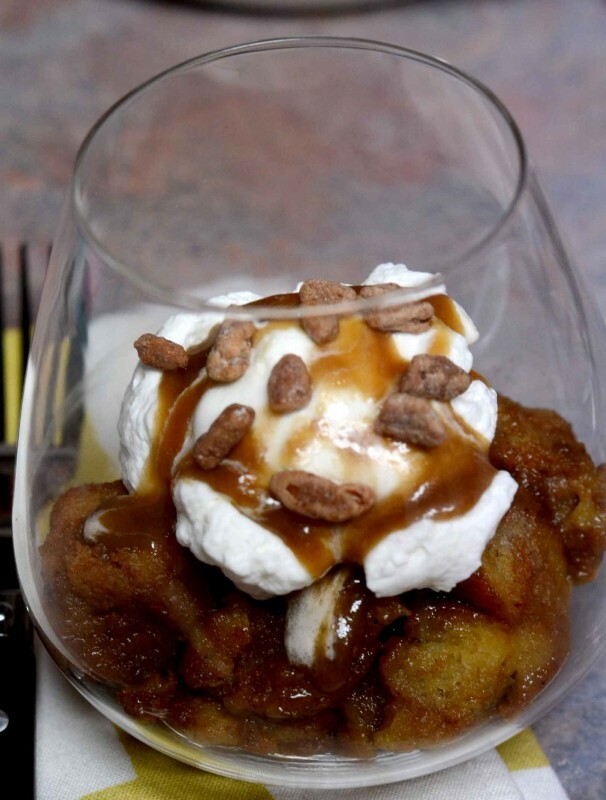 Pumpkin Spice Bread Pudding!! Pam to the rescue! Ok its the time of year when we do A LOT of cooking, baking and eating!! I asked Mr. Pinkcakeplate what dessert he wanted for Thanksgiving and he said he wanted a Pumpkin Spice inspired bread pudding so I had to rise to the challenge . 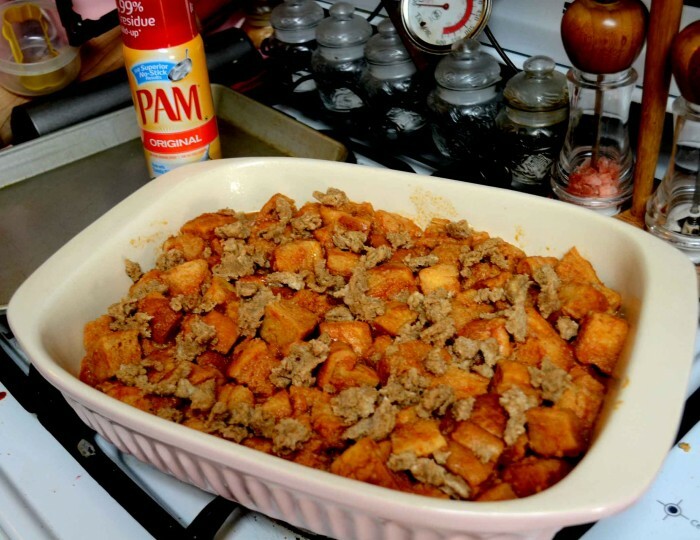 With the help of one of my favorite baking sprays PAM I made the most delicious Pumpkin Spice Bread Pudding! Baking is something I absolutely love to do during the holidays but I sure hate the clean up especially the nasty residue that some cooking sprays leave behind. I remember one time scrubbing my silicone bunt pan for about 45 minutes to get the residue off from the cooking spray I used. Man what a pain!! I was so excited when I found out that Pam Cooking Spray has reformulated its cooking spray and now it has 99% less residue!!! Whhhhoooohooo!! I am loving that!! 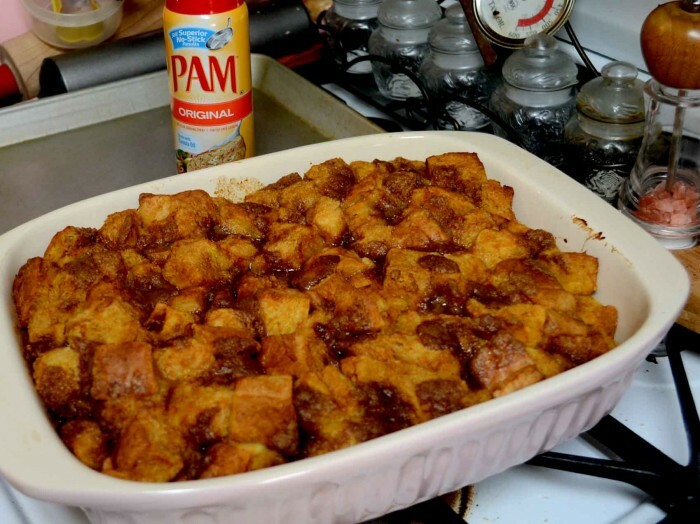 I used Pam Cooking Spray to make sure my Pumpkin Spice Bread Pudding did not stick in the pan!! 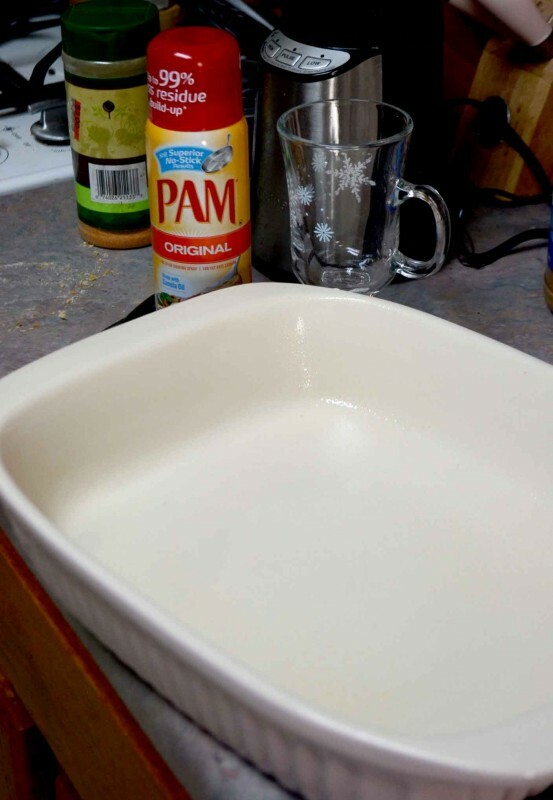 I used my favorite “pink” baking dish sprayed with the new Pam Cooking Spray. Here is what the Pumpkin Spice Bread Pudding looked like before I put it in the oven!! Looks yummy even unbaked!! And look at it baked!! Oh my doesn’t that look amazing?? And look at how delicious it is!! I drizzled a little caramel sauce on top of the fresh whipped cream and sprinkled cinnamon almonds on top!! 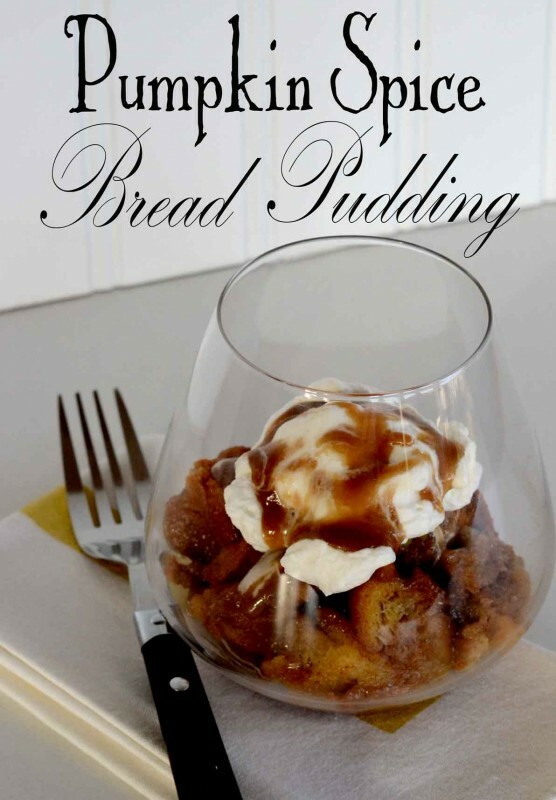 I will tell you this bread pudding was out of this world yummy!! Do you want to try the new Pam Cooking spray?? You can win your own prize pack!! Yup that’s right I am giving away some goodies!! 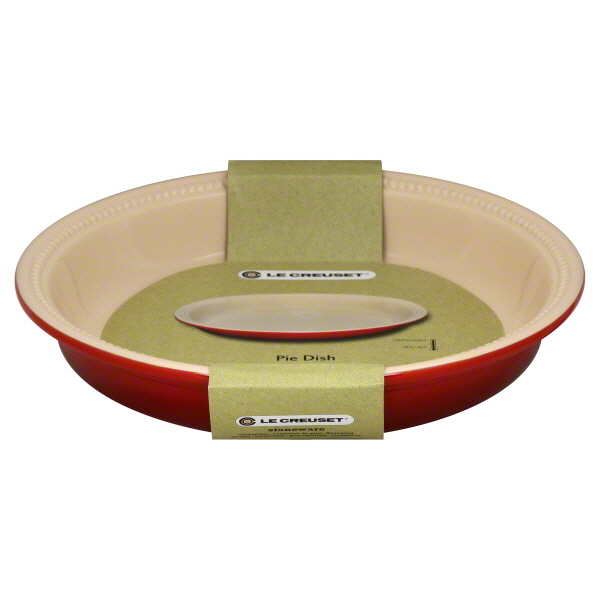 All you have to do is leave me a comment and tell me what you would make in your new Le Creuset Pie Dish! Yup that is all you have to do!! You must leave a comment HERE on my blog. All other comments will not be counted towards the giveaway. For more information on Pam Cooking Spray you can visit the following URLs! Congrats to Ashley from Cute as a Fox!! She left comment number 2!!! Now for the yummy recipe! Mix together sugar, eggs, milk, vanilla, spices and pumpkin until well blended. Add bread and stir to cover the bread with custard. Let sit for 10 minutes. Crumble together sugar, spices and mix in softened butter. I use my fingers to mix the butter into the sugar. Pour pudding mixture into 9x13" pan sprayed with Pam cooking spray. Sprinkle topping mixture over top of pudding. Bake in 350 degree oven for 35-45 minutes until middle of pudding is firm. Mix together sugar, butter, egg, spices and vanilla in sauce pan heat over medium heat until sugar is melted. Pour over warm pudding. Serve warm or cold. Top with whipped cream. 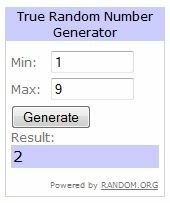 OK now for the Give away rules! I know but I had to do it!! Have a fantastic week!! Come back for more fudge recipes this week!! By participating in a Sweepstakes on PinkCakePlate.com (“Blog”), each entrant unconditionally accepts and agrees to comply with and abide by these Official Rules and the decisions of Massive Sway (“Sponsor”), which shall be final and binding in all respects. Sponsor is responsible for the collection, submission or processing of Entries and the overall administration of the giveaway. Entrants should look solely to Sponsor with any questions, comments or problems related to the Sweepstakes. The winners of the Sweepstakes will be selected in a random drawing by Blog from among all eligible Entries received throughout the Promotion Period using the selection tool indicated on PinkCakePlate.com . The random drawing will be conducted by Sponsor or its designated representatives, whose decisions are final. Odds of winning will vary depending on the number of eligible Entries received. Winner will be notified by email at the email address provided in the Entry Information after the random drawing. Potential winner must accept a prize by email as directed by Sponsor within 48 hours of notification. Any winner notification not responded to or returned as undeliverable may result in prize forfeiture. No substitution or transfer of a prize is permitted except by Sponsor. 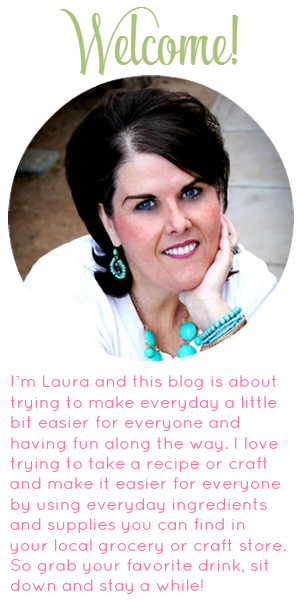 For more information, visit http://www.pamcookingspray.com. I would make a sweet potato pie or possibly dinner rolls. Oooo....would love to give this a try for my holiday baking! I will be making a chocolate cream pie! Ashley you are the winner of the Pam Prize pack!! Congrats emailing you now!! !